I recently came across the online shop Two Penny Blue and I am in love! This line carries a variety of stylish blazers and accessories. Founded by Marie Whitney – not only does this brand mix classic pieces with modern elements, Two Penny Blue is also socially aware. With each jacket purchase, a school uniform is donated to a girl in Africa. I really love the women inspiring and helping other women movement and it’s great knowing that just by purchasing a blazer – I am helping a girl build her future. Here are my favourite looks from the line. I've really been getting into the arm candy look lately and a watch just seems fitting to add into the mix! 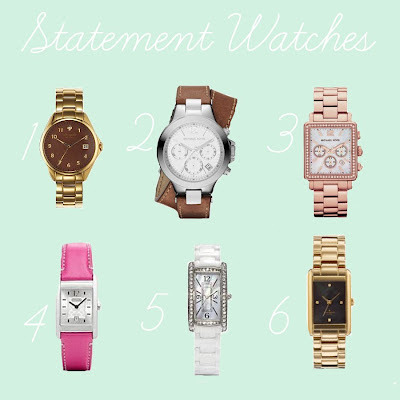 I currently sport a basic silver watch, but I've been looking to add a statement watch to my collection. Although I'm guilty of checking the time on my phone while I have a watch on - they definitely come in handy during classes and other situations where it's inappropriate to whip out your phone and check the time! I love the mix of watches here. They are all perfect for mixing with other bangles. 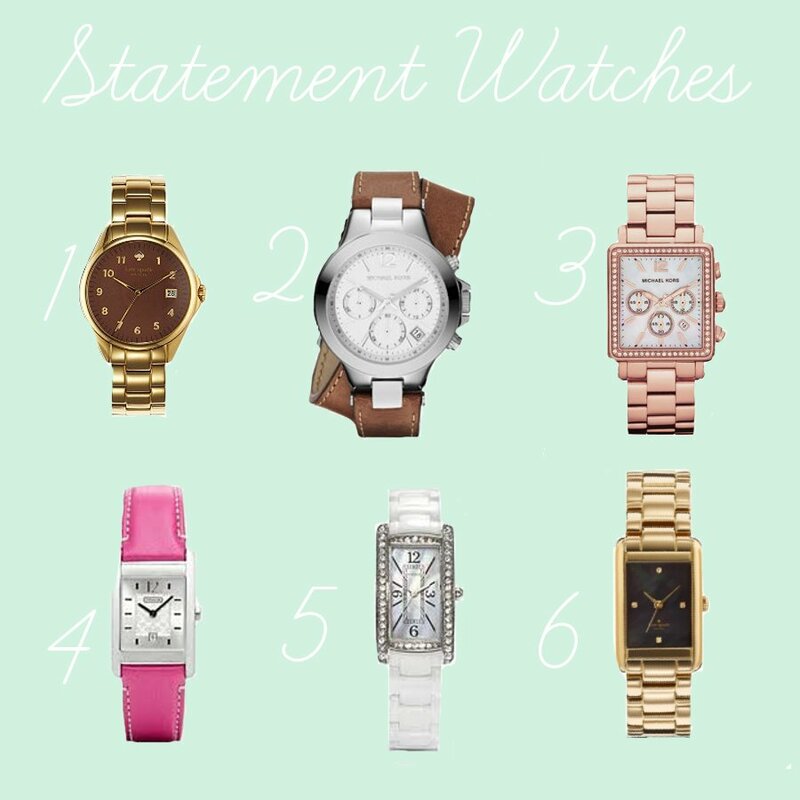 While I'm not a huge fan of the 'stack' (too much bulk when I'm typing class notes or writing) I can definitely see myself pairing these watches with one other bangle! It's Friday once again and while I do have Friday favourites for you today - I have some changes up my sleeve. After today, Friday favourites will be a monthly feature so that I can share more fun things with you! So from now on look out for Friday favourites at the end of each month! Enjoy today's favourites! She Reads Truth devotional series. More information here! I'm back with another dorm/apartment decor post! Today I'm looking at floor treatments. In my first two years of school I lived on campus and the floors were all the same - boring tiles. Not only are tiles drab, they can make your floors freezing cold! Buying a simple area rug for your space can make it more homey and warm. Rugs come in all sorts of shapes, colours, and materials - so there is something for everyone. My favourite, and the most affordable! Very pricey, but I couldn't resist! I love fluffy rugs! So cozy! I love stud earrings! They are just so classic and not too flashy! Here are my favourite picks! Have fun dressing up your ears! One of my wardrobe staples is the cardigan. 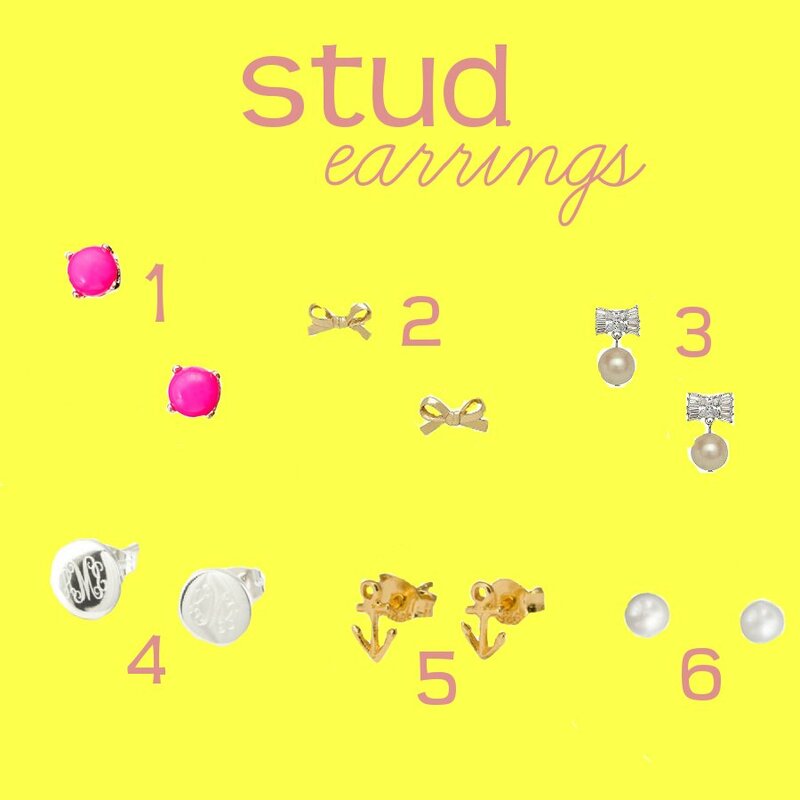 It is so versatile and there are just so many different styles. I especially love how cardigans can be dressed up or down. What more can a girl ask for? 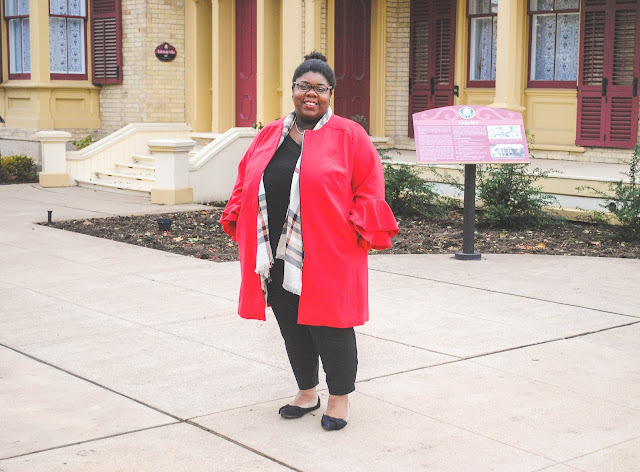 I'm still on the whole fall wardrobe kick, and so I've put together three style boards of cardigans! The Old Navy Cardigans are definitely the most affordable of the three. They come in a variety of colours and patterns - so no getting bored of these! 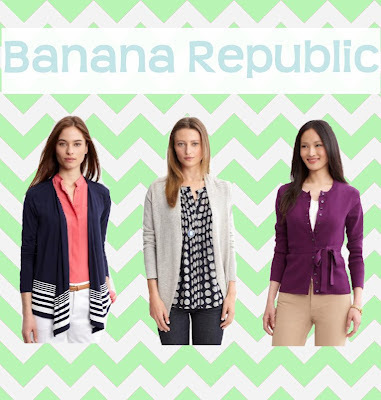 I like that the Banana Republic Cardigans are not the traditional button downs. I definitely see myself wearing these when I want to change it up! Lastly, the J. Crew cardigans! I really love how soft and comfortable these ones are. They are a bit pricey - but I think it's definitely worth it to invest in at least one of these! There are so many different colours and styles. Perfect for those long nights in the library! As much as I'd love to own them all - I've got to narrow it down. Aside from my school totes - I don't like to carry around big bags. Whenever I am going out anywhere I prefer to sport a small cross-body bag instead of a purse. They hold everything I need and aren't as bulky and cumbersome as a regular purse. 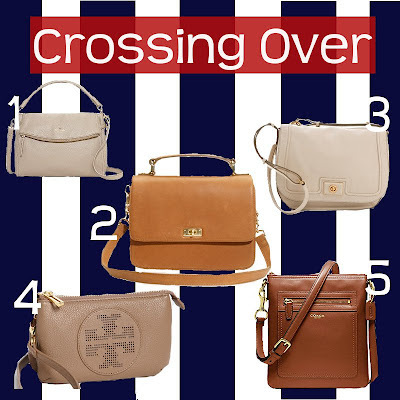 I'm in the market for a new (more adult) cross body so I put together a board of some options I really like! What do you think about cross-body bags? 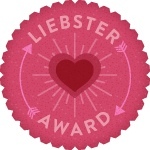 I was tagged by Kentucky Belle in the Making for a Liebster blog award! 1.) Each person must post 11 things about themselves. 2.) Answer the questions the tagger has set for you plus create 11 questions for the people you've tagged to answer. 3.) Choose people and link them in your post. 4.) Go to their page and tell them. 5.) Remember, no tag backs! 2.) I use 2 different planners and numerous lists. 4.) I cannot stand noise - I sometimes wear earplugs in the house. 5.) I answer around 100 e-mails a day!!! 6.) I love to buy lip gloss - but I hardly wear makeup. 7.) I don't have a 'best' friend. 8.) I love Old Navy flip flops. I live in them during summer. 9.) If I weren't in Forensic Science - I'd love to be a stylist. I love clothes! 10.I love dressing up, but I like to get my hands dirty with sports! Soccer, rugby and tennis are my faves! 11.) I actually enjoy Canadian Winters! 3.) What do you do to relax? : I don't typically 'relax' ha! Ask my friends. But during my rare downtime I usually just watch Youtube videos and craft. 4.) 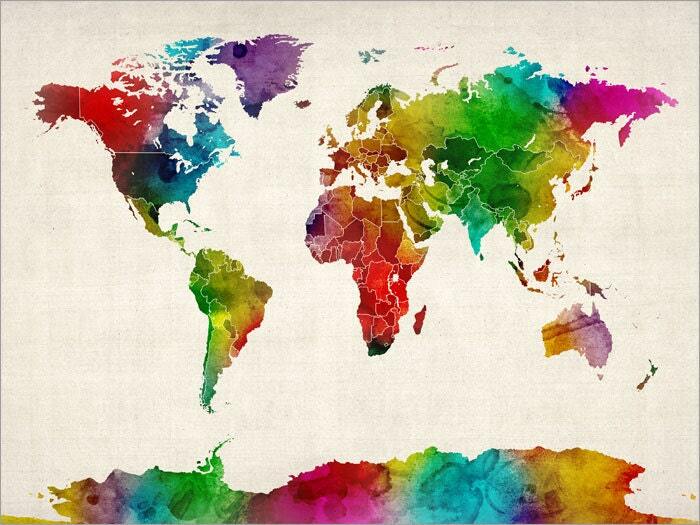 Would you rather plan out a trip or go spur of the moment? : Definitely plan. I don't like surprises so I tend to always plan things 200% through. 5. )Boots or heels? : Boots all the way. I have flat feet and heels are too painful. 6. )What's the most unique thing about you? : Oh! I don't know! People tell me that they've never seen someone so put together who also wants to go out into crime scenes. So maybe that! 7. )Are you extremely tech savvy or do you struggle? : I wouldn't say I'm extremely tech savvy - but I know the basics. I also like to learn new things - so I'm always getting better! 9.) Do you have bad habits? : I doubt myself a lot. It's a work in progress - but that would be it. 10.) What is something you are extremely proud of? : Ah! I don't know!! I never like to be proud of things because they're never perfect like I want them to be. I'd say just being self taught in a lot of areas of life and such. 11.) Do you keep up with the news? Celebrity, political, or both? : Yes I read both! This was fun! Thank you Kentucky Belle in the Making for tagging me! This is one of my favourite songs and this cover is so beautiful. Ya'll know how I feel about monograms and stationery, so you can only image the high pitched squeal I made when I saw these. I love a good DIY! 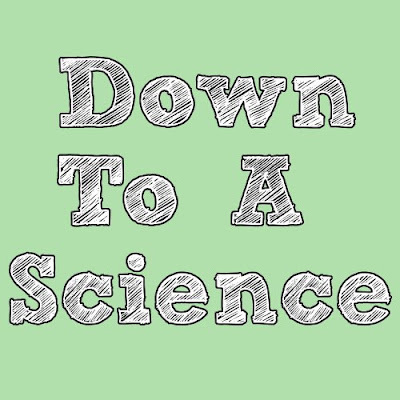 Summer is sadly starting to wind down, and heading back to school is on many of our minds. 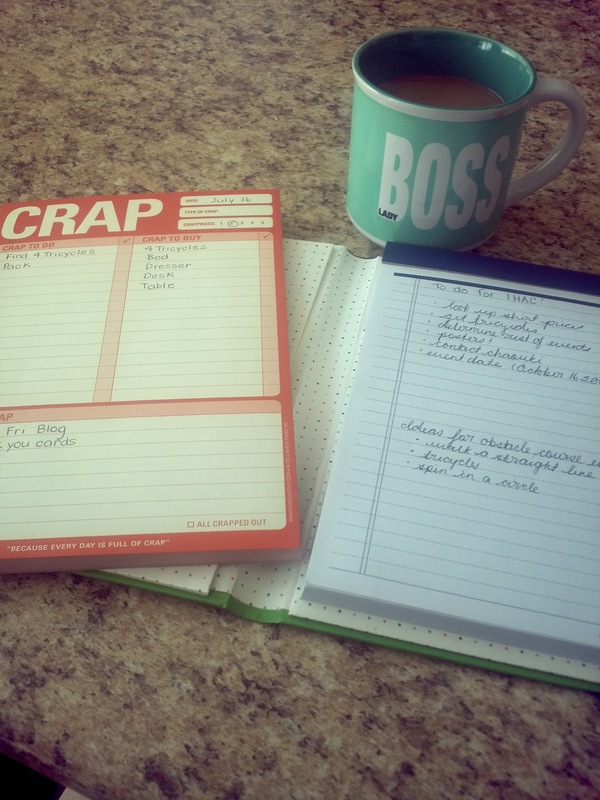 While heading back to school isn't the most fun thing, here is a way you can spice up your workspace! These glittered pencil holders are super easy to make and are so cute! The materials you need are: Glass Jars, Mod Podge, Glitter, Paintbrush and Wax paper (to cover your workspace). I bought my glass jars at Bath and Body Works during their huge sale, but you can use any glass jar for this. You could buy them at the dollar store or recycle old candle jars and mason jars. Anything goes! Next you want to grab some Mod Podge and a paintbrush, and paint the Mod Podge on the inside of the jar. I waited about 30 seconds so that it became tacky. Next, I poured the glitter into the bottom of the jar and slowly rolled the jar around. Take extra care with this step so that the jar gets completely covered by the glitter and there are no blank spots! Any excess glitter that falls onto the wax paper can be put back into the glitter container! Set it upside down on the wax paper to dry for a few hours. Once it's dry, you must seal the glitter. Do this by taking your Mod Podge and carefully painting over the glitter. This will ensure that the glitter does not chip off! Set it down to try again for a few hours. And voila! Now you have super cute and sparkly pencil holders for your workspace! 1. When am I getting fed next? 2. When am I getting changed next? Needless to say, I've come a long way since then. It hasn't always been easy but it has always been worth it. Today I'm going to share with you 20 things I wish I knew before my 20th birthday. 1. Quit trying to perfect everything. Nothing in life is perfect. 2. Ponchos are not stylish. Never ever. 3. Neither are plastic beaded necklaces. Stay away. 4. It's not the end of the world if that guy doesn't give you the time of day. 5. If you're feeling down - tell someone. You don't have to keep it to yourself. 6. Purple eye shadow and glitter do not belong anywhere near your face. 7. Friends will come and go but you will inherit a group of sisters that will give you "understanding and appreciation" and "love that is ever steadfast". Cherish that sisterhood. 8. You will get through your parents divorce and losing your home. It will take time - but you'll get through it. 9. If a friend makes you feel down about yourself - leave them behind. 10.You are going to accomplish amazing things and make your family proud. Don't fret. 11. You're not always right. 12. Sometimes you're going to have to do things you don't want, in order to achieve results you do want. 13. Your roommate in Freshman year is going be to psycho. You'll survive it. 14. 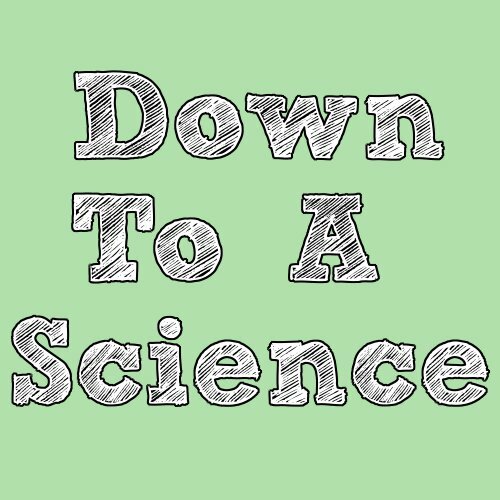 No matter what anyone says - female scientists are cool. 15. It's okay to say no to people (even your close friends and family). 16. Not all of your ideas are good ones. 17. It's okay to keep your different groups of friends separate. As a matter of fact - don't try to make them all friends. It will become a disaster. 18. Don't watch My Super Sweet 16. 19. You are the best version of yourself. Don't try to be like someone else. 20. Relax and have fun! And that's it! 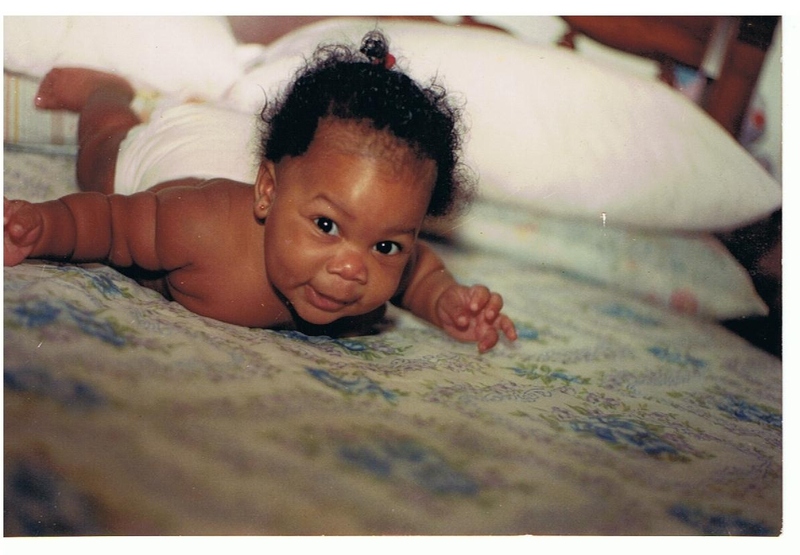 I can't believe 20 years have gone by already! I'm really excited to start this next chapter of my life! I swear by lists! 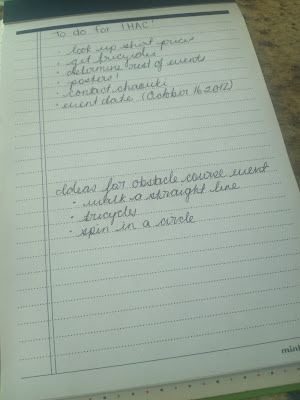 They aid in the organization process and it feels great to physically cross something off of your to-do list. 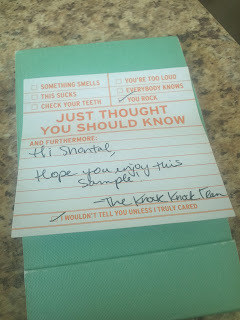 I use a wide variety of stationery (read: I hoard stationery), but I'm currently loving Knock Knock products. I love the humour in the items. It makes those not so fun tasks a little more bearable. 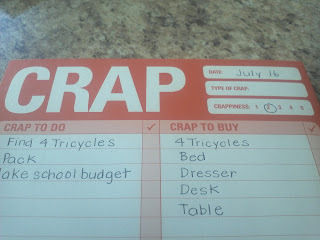 I'm currently using the Crap pad. It's hilarious! If you're wondering why on earth I need 4 tricycles - just think sorority alcohol awareness event. 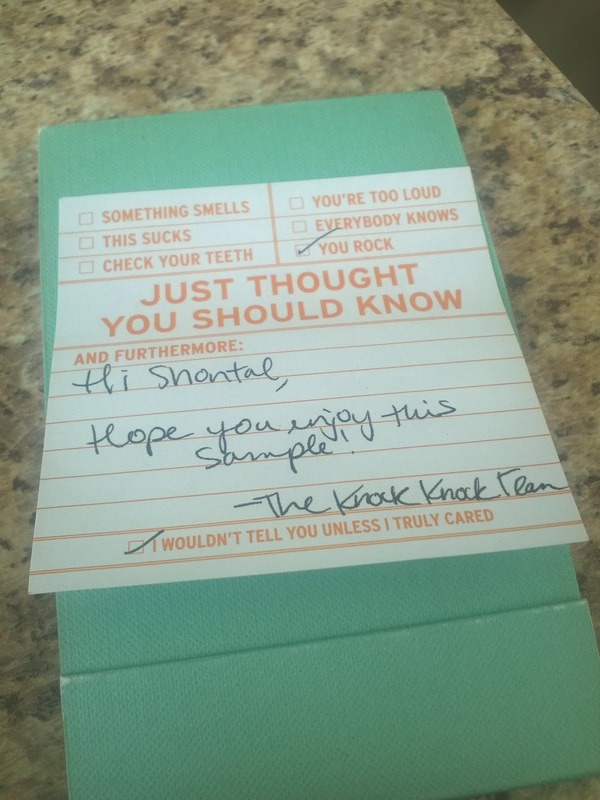 The lovely folks over at Knock Knock sent me the Note to Self pocket notes! I think they are fantastic. 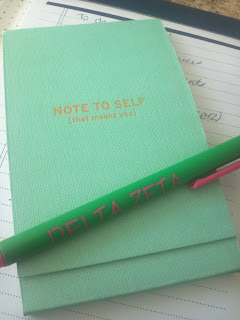 I carry them with me in my tote - and write tasks down as I get them! I highly recommend these - especially if you are always on the go and don't want to take up too much space in your bag with a notebook. This padfoilio is not a Knock Knock product - but I love it! I found it at Winners and it was too cute to leave behind. Truthfully I don't really need more stationery - but I bought it anyway! Do you keep lists? What are your go-to list keeping items? Old Navy is one my favourite places to shop. 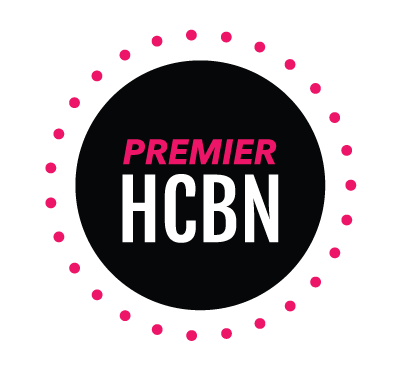 They have great basic items to build your wardrobe from. I also appreciate how affordable Old Navy is - perfect for a student on a budget! I recently saw the Fall 2012 look-book and there are so many items that I love! I've put together a few boards to share! I love these sweaters. These will be great for those long days of classes where I want to be comfortable yet still look put together. 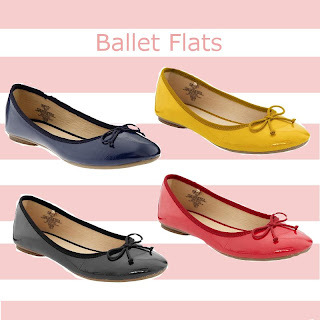 I have an obsession with ballet flats. They are definitely my go-to shoe. I love the variety here! 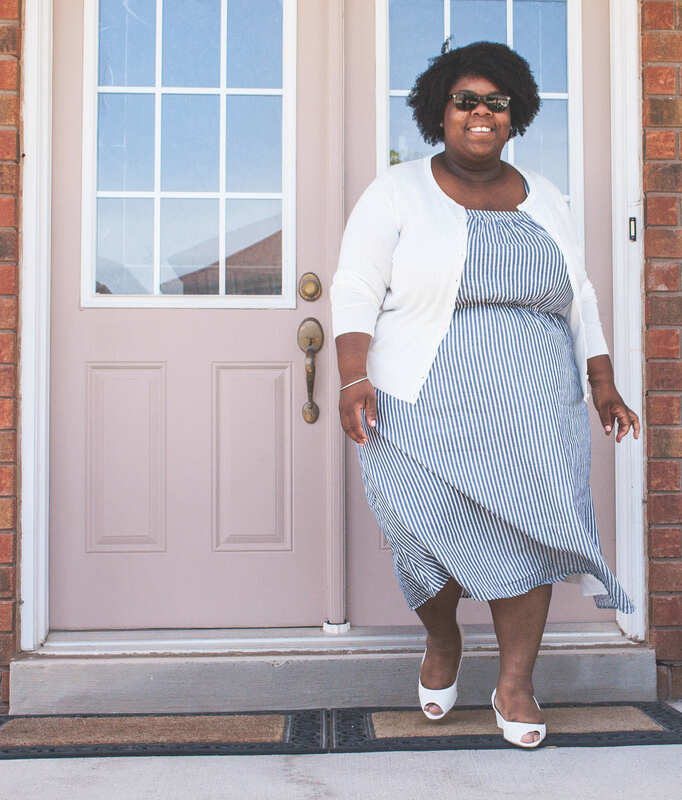 These dresses are all so cute and can be dressed up and down. I love the silhouette of each dress and they are all really affordable! I'm really looking forward to shopping for my Fall closet! It's Friday the 13th today and it's got me thinking about superstitions. I wouldn't consider myself superstitious at all. I've never had a 'bad' experience on a Friday the thirteenth and it irks me a little when people use it as a crutch! I guess this post is leading into luck and how I feel about it. I really don't think it's a tangible thing. 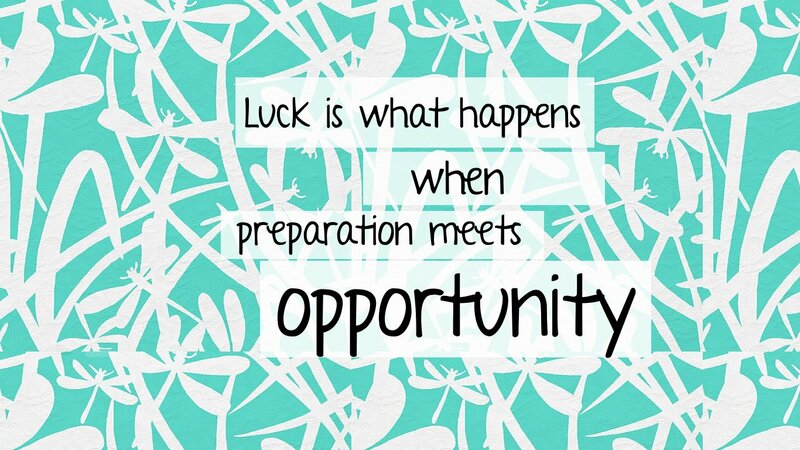 You really have to go out there and create your own 'luck'! Work hard and live your dreams! 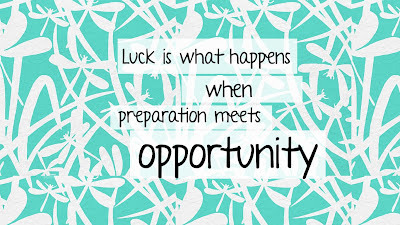 If there is something that you really want - don't wait around and consider yourself lucky if it happens. Go out there and make it happen! Take advantage of the opportunities available to you. If there are no opportunities - create them! There is always a way. Don't let 'luck' hold you down. To download the wallpaper right click and hit save! What is a Friday Favourites without stationery? Everything in this line is really cute and functional. I'm really loving the padfolios! This cute app sends you an email with tweets, texts and facebook statuses from the year before on that day. This app is great for days when you feel like you haven't changed in a year or are just curious! Carly from College Prep sent me an invite to this website. You can customize your style and size preferences to receive deals from your favourite stores! Who doesn't love a sale? If you'd like an invite shoot me a message at: shontal@thepreppyscientist.com! Bedroom Basics: Wall Art + Giveaway Winner!